Students age 8 and up in NBYT’s homeschool enrichment program are designing a set for a scene from Shakespeare’s A Midsummer Night’s Dream. Pretty nifty that they’re also learning about grids and using some math skills! 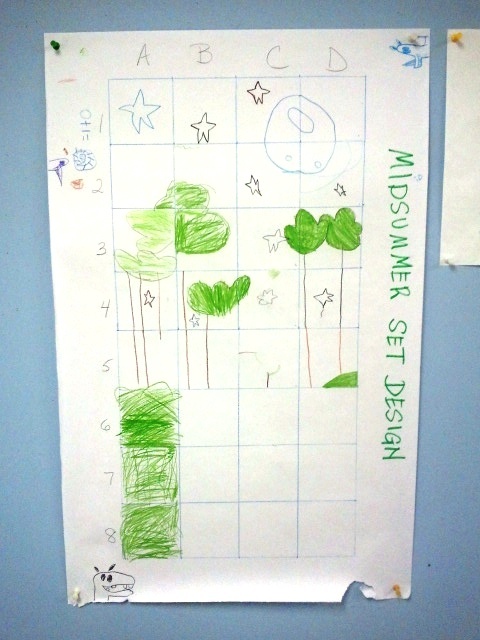 Younger students are preparing a scene from Charlotte’s Web and are also designing their set. Homeschool programs are offered at NBYT each fall, winter and spring for ages 4 through 14. Previous Previous post: How’d you like NBYT to come to YOU?